PASO ROBLES, California; – Brian Dirk, president of the Troy Group in Costa Mesa has announced the acquisition of Pasolivo, the award-winning olive oil company and ranch located in Paso Robles, the heart of the California Central Coast known for its outstanding vineyards, fertile farmlands, orchards and country living. Nestled between the mountains, beaches, and deserts, Paso Robles is home to one of the United States’ fastest growing wine regions. The city prides itself on its cultural diversity and celebrates with a number of annual culinary, wine, music and equestrian festivals, including the Summer Concert Series, Olive Festival, Zinfandel Festival, Sunset Savor the Coast, and Harvest Festival, making it an outstanding destination for exploration. The ranch was originally named Willow Creek Ranch by by legendary and trailblazing filmmaker King Vidor who purchased the property and made it his home until his death in 1982. Pasolivo as it exists today was founded in 2000; it includes 45 acres of olive trees that are grown organically and sustainably within the 140 acre ranch. It operates an on-site olive mill and retail store that produces five award-winning proprietary olive oils, locally cured olives and tapenade made from their product in addition to other epicurean and bath specialties. They are open to the public daily for tastings and scheduled tours. Dirk sees the purchase of Pasolivo and the ranch as something beyond an investment. The family is dedicated to preserving the existing olive oil business and ranch as a boutique operation, while carefully building on the authentic Paso Robles experience that has built a devoted following and will appeal to a new population to discover. To guide them, they have recruited Cheryl Wieczorek, a respected member of the Paso Robles community for 20 years, to oversee operations as General Manager. Wieczorek’s background includes her thirteen year history as part of the JUSTIN winery management team. Her expertise in sales, marketing and production brings the assurance of continued quality and growth in Pasolivo’s future. Cheryl and her husband David have a love of the land; their quality fruit from their grape growing business supplied prominent winemakers in the Paso Robles region for several years. Changes for Pasolivo involve further planting of the orchards, upgrades in equipment for the oil pressing operation, a remodel of the tasting room, landscaping to beautify the visitors area and development of a full line of their own olive oil based bath and beauty products. Plans are currently underway for the conversion of three existing buildings with magnificent sweeping views of the area’s orchards and fields into vacation rentals for short and long-term stays on the property so that guests may witness first-hand the charm and splendor of living on a real working olive ranch. Pasolivo olive oils are made from olive trees grown organically and sustainably on its 140 acre orchard in Paso Robles, CA. The Pasolivo farm store is open seven days a week, and offers olive oil tasting, education and tours of its olive press. They also offer a wide array of small batch, artisanal goods and olive oils at their website, www.Pasolivo.com. 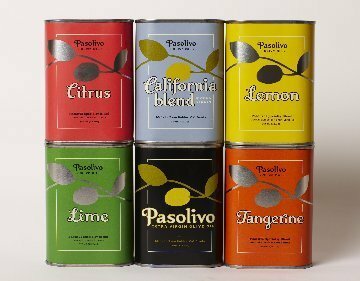 Pasolivo has been awarded every major award in the US olive oil industry, including Double Best in Shows at the Los Angeles International Olive Oil Competition and the San Diego Wine and Food Competition, and a ranking as a Top 10 Oil in the World by Der Feinschmeker, who hosts one of the world’s largest international olive oil tastings. It has been featured nationally in the New York Times, Los Angeles Times, Bon Appetit, Food and Wine, Saveur, USA Today, the Wall Street Journal and Newsweek. Willow Creek Ranch, the historic name for the Pasolivo property, was originally owned by King Vidor, the legendary film director and producer of War and Peace, Northwest Passage, Stella Dallas, and The Champ. The ranch is located in the historic Adelaida region on the west side of Paso Robles.